A young Malaysian athlete works on her ball handling skills during a clinic in Kuala Lumpur. Tony Sanneh, Danielle Slaton and Ambassador Jones join Malaysian soccer coaches after a day of sessions and training clinics. Danielle Slaton lines up with the young Malaysians at a soccer clinic. U.S. 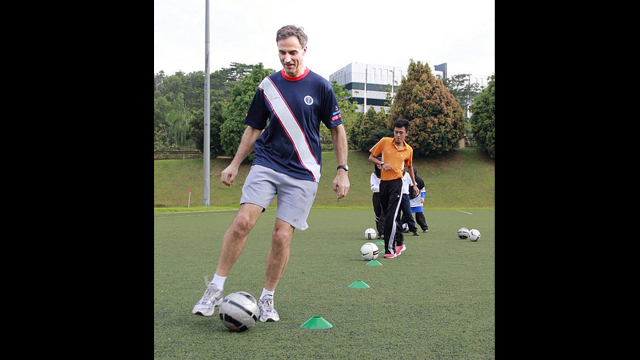 Ambassador to Malaysia, Paul Jones, shows off his footwork in a soccer clinic. Sports Envoy, Danielle Slaton, gives the girls tips on kicking. Sports Envoy, Tony Sanneh, tosses a ball to a young Malaysian player. 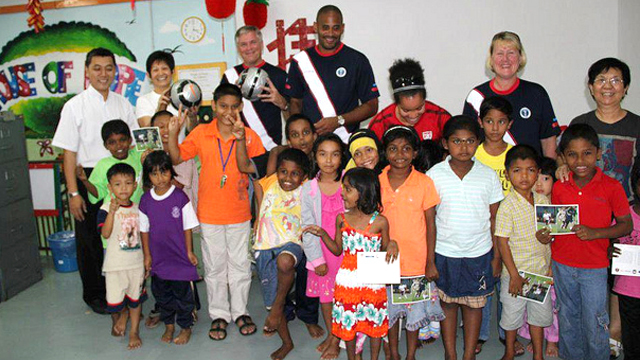 Sports Envoys spent time with kids at the House of Hope, an orphanage in Kuala Lumpur. 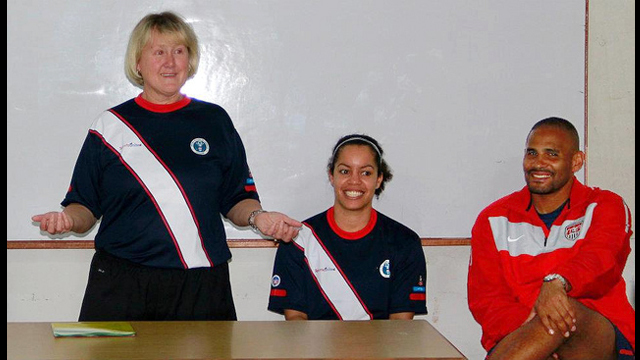 Former U.S. Women's National Soccer Team Manager, Cheryl Bailey, engages young boys and girls on the subject of nutrition and fitness. Former U.S. Men’s National Soccer Team player Tony Sanneh and former U.S. Women’s National Soccer Team player Danielle Slaton traveled as Sports Envoys to Malaysia. 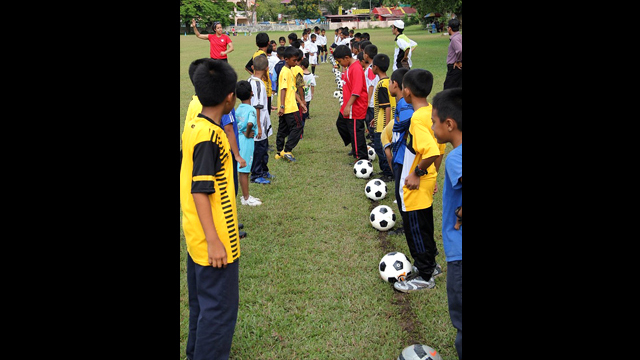 While in Kuala Lumpur and Penang, the Envoys conducted soccer clinics for youth. The envoys also participated in community outreach activities and spoke on the importance of diversity and health.